Honda Civic 6MT SI 2D 2007, 2008, 2009 Honda Civic 6MT SI 4D 2007, 2008, 2009 Honda Civic 6MT SI-HPT 4D 2009 Honda Civic 6MT SI-N 2D 2007, 2008, 2009 Honda Civic 6MT SI-N 4D 2007, 2008, 2009 Honda Civic 6MT SI-ST 2D 2007, 2008, 2009 Honda Civic 6MT SI-ST 4D 2007, 2008 Honda Civic 6MT SI-STN 2D 2007, 2008, 2009 Honda Civic 6MT SI-STN 4D 2007, 2008 Honda Civic 6MT SIHPTN 4D 2009. 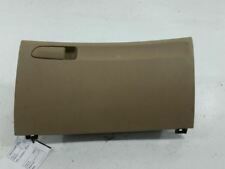 Honda Civic 2009-2009 (Sedan) Glove Box, Beige. 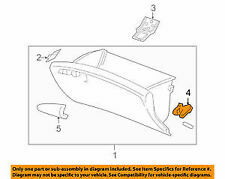 Honda Civic 2009-2010 (HYBRID) Glove Box, Beige. Vehicle Model: Civic. Vehicle Make: Honda. Vehicle Year: 2009. Nova Scotia (15%) HST. Ontario/New Brunswick/Newfoundland (13%) HST. 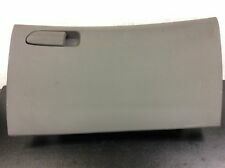 2009 Honda Civic SI Coupe Glove Box, Minor Blemishes. You are viewing a Glove Box Assembly removed from a 2009 Honda Civic SI Coupe. Honda # 77500-SNG-D01ZA. R emoved from 2010 Honda Civic A/T 1.8L. Color: Gray. 2006-2011 Honda Civic. Everything we do is centered on supporting you in fully realizing your potential. If you aren't happy, we're not happy. Let's make this simple. SHOULD fit 06-11 Honda Civic. . a pretty image. Donor Car: 2007 Honda Civic Sedan with only 141K miles. It has the 1.8L motor. It was wrecked in the front end but in perfect running condition before this happened. No labor warranty is provided. Off a 2010 Honda Civic Lx coupe with manual transmission. It is light gray and is in good condition. Honda Parts Unlimited. a pretty image. Part Number 77500SNAA02ZA. Fits these units. Shows normal wear. Off a 2006 Honda Civic Si Coupe. ITEM 2007 Honda Civic Glovebox Tan. Other parts for this Unit. Fits these units. Shows normal wear. No repairs. 2008 HONDA CIVIC SI. COMPATIBILITY: 2006-2011 HONDA CIVIC COUPE / 2 DOOR. COLOR: BLACK. We want to hear from you! We will respond within 24 hours. Ø To avoid these costs, make sure to examine all photos of the item before purchasing. Off a 2007 Honda Civic Ex coupe with manual transmission. CIVIC 06-11. We do not provide product liability coverage and a professional technican should always be used to evaluate and safely instal any vehicle parts. Windshield Wipers & Parts. Windshield Washer Tanks. HONDA CIVIC 06 DX, EX, LX & Si; Cpe; coupe black. HONDA CIVIC 07-09 DX, EX & LX; Cpe; coupe black, w/o Si. 2006 HONDA CIVIC. HONDA CIVIC 09 DX, EX, GX, LX & LX-S; Sdn; sedan, USA built black, w/o Si. Will also fit. LIFT GATE SERVICE IS ALSO EXTRA. 2008 HONDA CIVIC. HONDA CIVIC 06 DX, EX, GX & LX; Sdn; sedan, USA built gray. HONDA CIVIC 06-08 DX, EX & LX; Sdn; sedan, Japan built gray. HONDA CIVIC 06-08 DX, EX, LX & Si; Cpe; coupe gray. HONDA CIVIC 07 DX, EX, GX, LX & Si; Sdn; sedan, USA built gray. MPN: 77500 SNA A02021. Model: Civic. 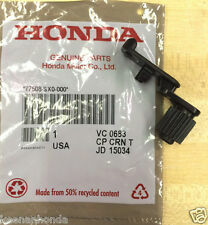 This part fits all 06-11 Honda Civic. Make: Honda. We strongly believe that a person should treat others just as he would want to be treated, therefore we will give you the respect every person deserves. 2009 Honda CIVIC COUPE EX, EX (NAV), EX-L, EX-L (NAV) 5 Speed Automatic, 5 Speed Manual 2008 Honda CIVIC COUPE EX, EX (NAV), EX-L, EX-L (NAV) 5 Speed Automatic, 5 Speed Manual 2007 Honda CIVIC COUPE EX, EX (NAV) 5 Speed Automatic, 5 Speed Manual 2006 Honda CIVIC COUPE EX, EX (NAV), SI, SI (NAV), SI (SUM TIRE NAV), SI (SUM TIRE) 5 Speed Automatic, 5 Speed Manual, 6 Speed Manual 2009 Honda CIVIC SEDAN LX-S 5 Speed Automatic, 5 Speed Manual. COMPATIBILITY: 2006-2011 HONDA CIVIC SEDAN. We want to hear from you! We will respond within 24 hours. Ø To avoid these costs, make sure to examine all photos of the item before purchasing. Location MUST have loading dock or fork lift to unload the freight truck.